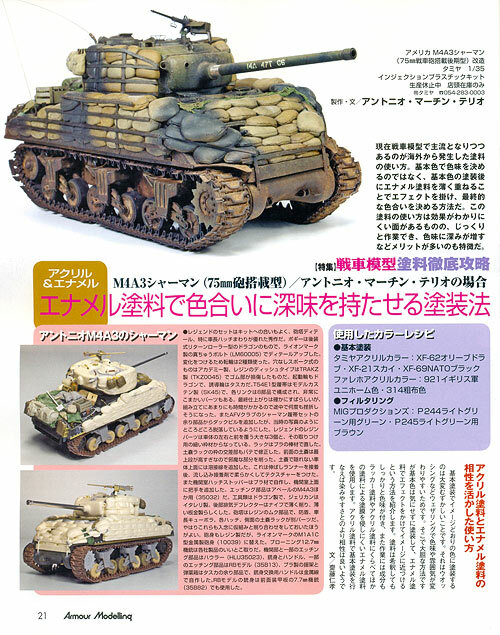 La revista japonesa Armour Modelling ha sido la primera en publicar mi artículo sobre el Sherman M4A3(76) con sacos terreros en su número de noviembre de 2012. Para mi, es siempre un orgullo publicar en Armour Modelling, una revista legendaria. 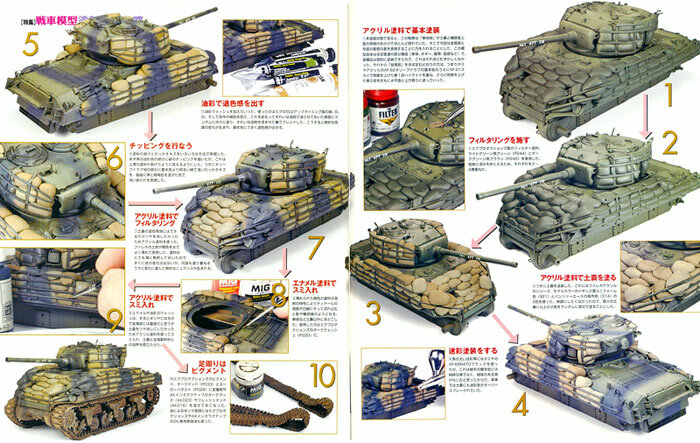 The Japanese magazine Armour Modelling has been published my article on the sandbagged Sherman M4A3(75) in its November 2012 issue. 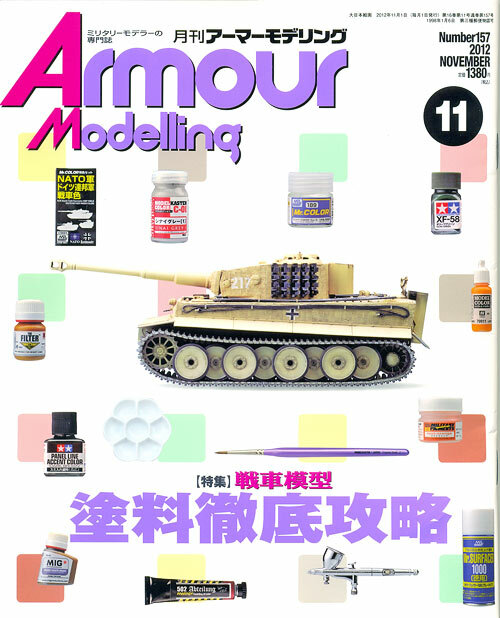 For me it is always a great honour to see my work featured in Armour Modelling, a legendary magazine.